Well Done Make A Wish Foundation and North Adelaide Football Club! North Adelaide joined with Split 50-50 to help raise funds for their Charity partner Make a Wish foundation on Sunday 17th. It was a very successful inaugural raffle with both Centrals and Roosters fans getting behind the cause. Past Players, attendees at the Presidents Group Luncheon and spectators all provided good support. 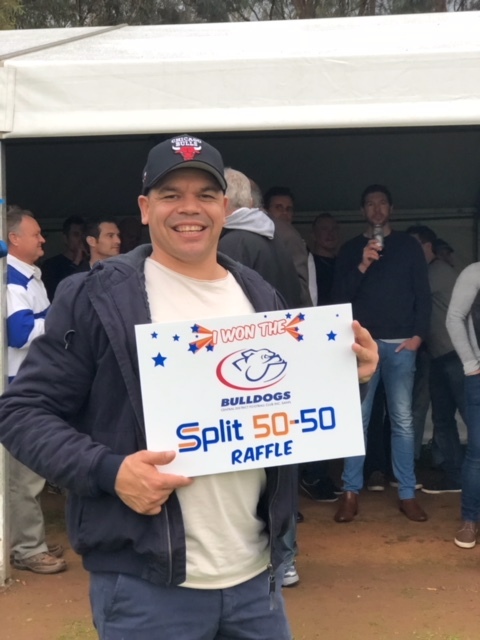 Past players at Centrals got behind the club’s Split 50-50 with premiership captain, Matt Slade, encouraging team mates to buy tickets in support of the Bulldogs at their Past Players function. Though Elijah Ware may have been a little reluctant initially to buy a ticket, he sure proved that winning is a great feeling – $901 helps. Chris Gowans was keen to congratulate him on his win. 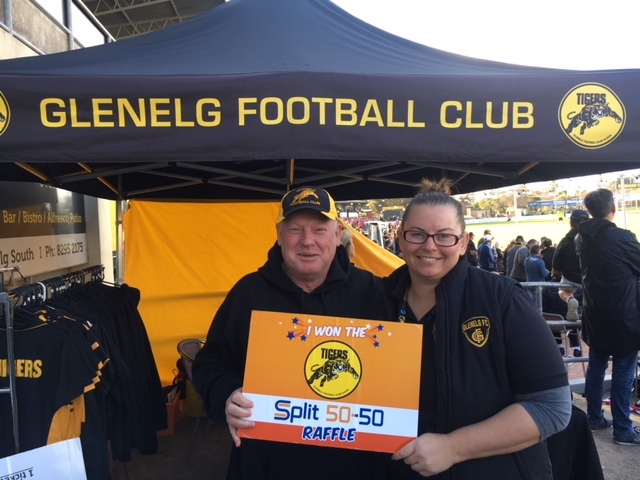 Max Atkinson is a regular in the Glenelg FC Split 50-50 Raffle and was very pleased to win $667 last home game. He loves the fact that both clubs’ supporters get behind the raffle to support local football with everyone having an equal chance of winning. Certainly, he’ll be purchasing tickets this week and he knows the chance is that he will be simply making a ‘donation’ to the club, but at the same time making one lucky person’s day. 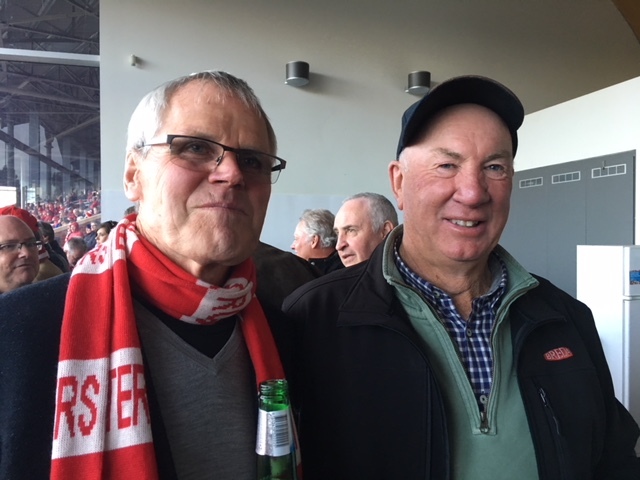 Robert Day enjoyed the winnings from West Adelaide’s last home game and the club is looking for continued support of the Split 50-50 raffle this Saturday when the Bloods take on the Roosters.